For most major holidays, I like a production. New Year’s Eve is no exception. Being that fireworks are illegal in California, but SPARKLERS are not, I thought I would look online and find a recipe to make them at home. Why? WHY NOT. Here’s why not. All of the recipes I found include scary chemicals and powders that are not only REALLY hard to find, but also sketchy because if you buy them, you end up on one of those government watch lists they always refer to on Law & Order. “We cross-referenced The List and isolated the individuals who had purchased explosives in the last six months….” DUN DUN! Also, my mom begged me not to pursue this craft. She’ll let me wear burning candles on my head, but not play with explosives? Mixed messages mom! I didn’t really have a back up plan, but knew I wanted to craft something that was like, “Boom. 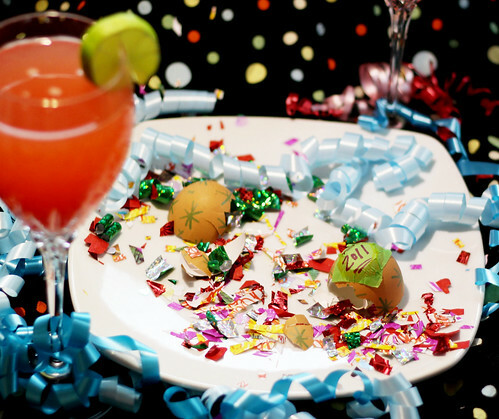 Party Time.” So I opted for the confetti egg. Have you ever seen a confetti egg in action? On the a scale of one-to-ten, the confetti egg is near Silly String and trampolines, somewhere around a nine. A ten would obviously be sparklers, whereas a one would be the jail time you received for making them at home. I checked the fridge for eggs, and got cracking. Literally. To being your confetti eggs, tap the top of your egg with the blade of a knife, and gently chip away a little hole at the top of the egg. 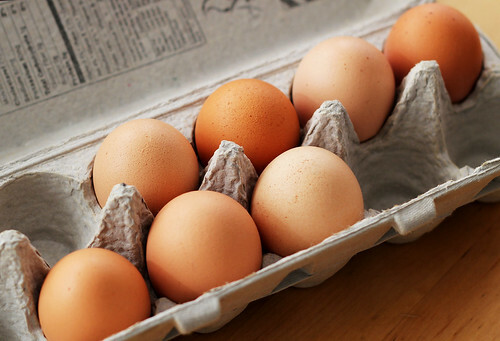 Grab a bowl for the egg yolks and whites and save those for your morning-after omelet. 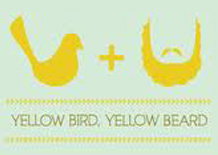 Continue making tiny holes (about the size of a dime) in the tops of all your eggs, and empty their contents in a bowl. Cover the bowl and store in the fridge. 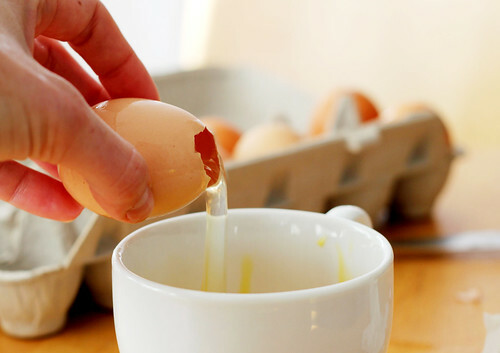 Gently wash out the eggshells with warm water. 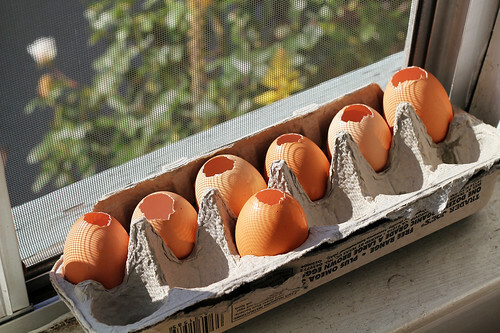 Shake out any liquid from the shells, and place the shells back in the carton somewhere warm (in a bright windowsill, or on top of the oven…) Make sure the eggs are dry before moving on. You may be the kind of fun person who has confetti lying around, and if you do, that’s awesome, and I’d like to get to know you better. I’m not that fun, but I am lazy, so I still had PILES of Christmas paper strewn around the house. 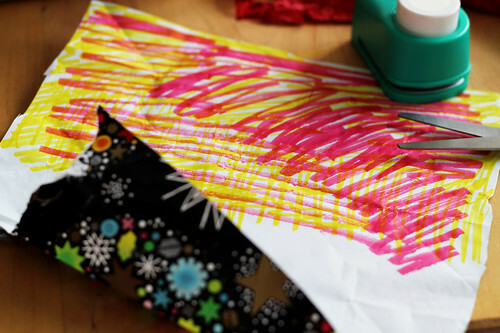 Take the prettiest, sparkliest paper you have, and if the pattern isn’t on both sides of the paper, grab your markers. 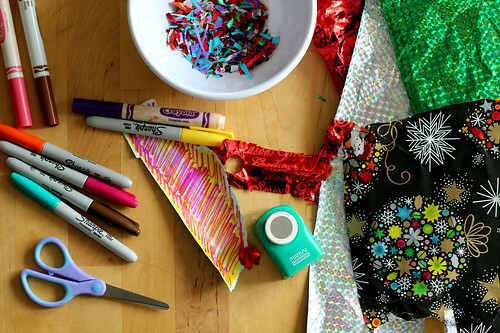 Color the backside of your wrapping paper scraps as messily as you please, but make it colorful. 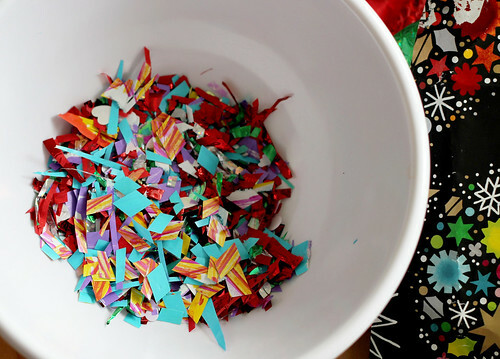 To make the confetti, you can use a hole-punch, those nifty scissors that are used for shredding documents, or just do the cross-hatching method by cutting up your paper in parallel lines in one direction, and then (over a bow) cut them in the other direction so that the little colorful squares fall into the bowl. 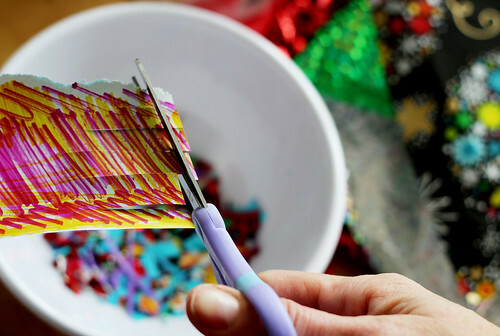 Use a variety of wrapping papers and markers to make your confetti as colorful as possible. 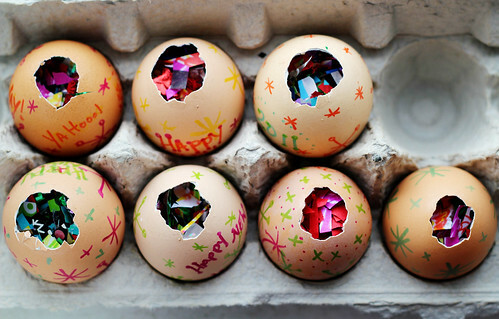 Once you think you have enough homemade confetti for your hollowed-out eggs, turn the markers on the eggshells themselves. 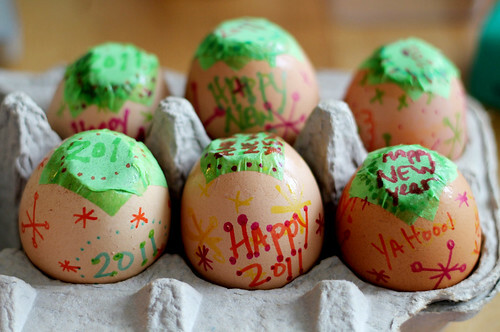 You can also use Easter egg dye, glitter, paint etc. I used Sharpies and was happy with the results. 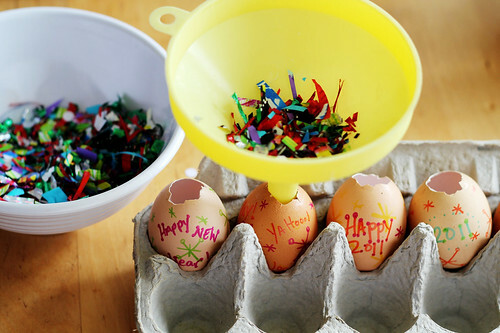 Once all of the eggs are decorated and pretty, grab a funnel or just use your fingers, and stuff each egg to the brim with your recycled wrapping paper confetti. Next up, grab some tissue paper and glue. 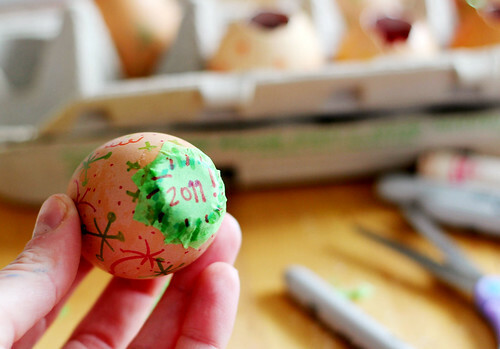 If you would like to decorate the tissue paper, do it now, before it seals the hole of the egg. 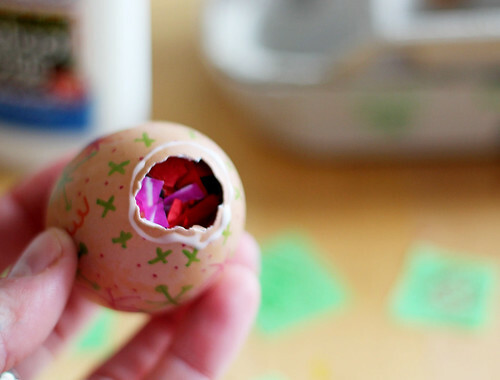 Run a thin line of glue around the hole in the eggshell, and press the tissue paper down and around the hole. Let the eggs dry in their carton. Once dry, hand the confetti eggs to someone you love, or hurl them at someone you can’t stand, but are nice to in social settings! Happy New Year everyone! 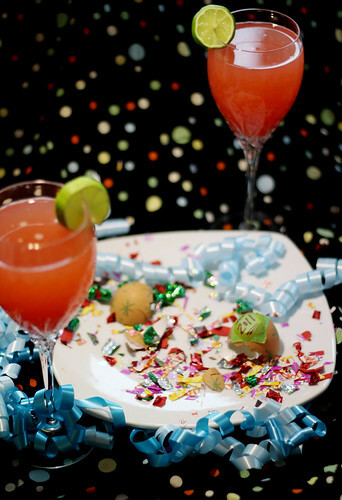 Make some confetti eggs, and when you throw them down at midnight, enjoy the burst of color and confetti and then plant a smooch on someone cute. Thanks for all your wonderful posts. I love reading through your posts whenever I get the time to do so. 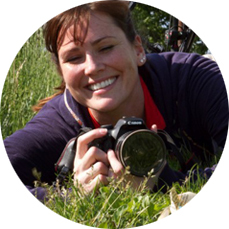 Your ideas are amazing, as Jessica Lynn Perkins mentioned and your pictures are soooo good!!! You’re so passionate about what you write, which is why I’ve awarded you the Stylish blogger Award. Creative Muslimah- Thank you thank you thank you! I totally appreciate my first award! You are so sweet. Thank you for the kind words, and the sweet gesture. I greatly appreciate it! Thanks Jennifer! They were a total hit with my little nieces and nephew last night! These are adorable! I wish I’d seen these before New Years. Will have to remember this for next year. Very clever idea! I used to love making these for Easter as a kid. They are so much fun. These are SO SO fun! 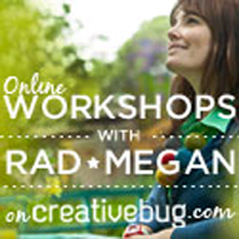 I cannot wait to make them with my 3 1/2 year old I featured this on my facebook page today!